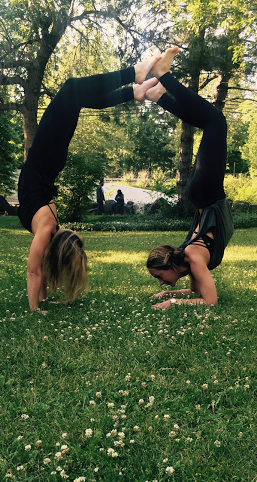 This grassroots event was inspired by the city in which we live and the love we have for Yoga. WOW! It's time to dream big! The love & support that we have received from this community is incredible. We had the best time creating our first HEAL BFLO Event, that we couldn't wait to start developing this next one. We learned a lot. We were able to work with so many interesting, motivating & inspiring people who helped our vision come alive. Sometimes life puts you in the right place at the right time to do exactly what you're meant to do. The universe will put the people in your path that will help you reach your goals. Maura Lester is a graduate of Cortland State as a certified Physical Education teacher with a Masters degree in Health from Canisius College. She is also a certified Children’s Yoga teacher. Maura is a mother of three and regularly practices yoga. She is a firm believer in maintaining an active and healthy lifestyle and enjoys providing others with the knowledge and opportunity to do so as well. I stepped into a Power Yoga Buffalo class in September of 2011 and kept going for the physical changes I began to see but fell in love because of how it fed my soul. There is something magical about pressing the reset button during a challenging 75 minute class. Soon after I began practicing I couldn’t stop thinking how great it would be to share yoga with kids. Raising four children I could see their struggles with social media, bullying and peer pressure. Giving them coping mechanisms like moving, breathing and meditating is key to helping them navigate the stresses of school, friends and family life. I currently teach yoga in after school programs and enrichment days at St Marks School. Later this summer I am launching a small business to yoga into other local schools as well as after school programs in areas where children may have limited access to a yoga studio . In September I am attending Baron Baptiste Children's Yoga certification program. Although I am currently certified I feel this additional certification will add to my yoga teacher toolbox. I have lived in Buffalo my entire life and inspired by it’s renaissance. I can happily say friends I have known for 30 years or more feel the same way. I love meeting people that are new to Buffalo and seem to immerse themselves into our zero degree of separation culture. Sarah Panzica developed a love for the arts when attending The Waldorf School as a child. Directly following high school she moved to Miami to work as a professional ballroom and latin dancer for Fred Astaire Dance Studio. She competed all around the world and won the title of world champion as a rhythm dancer. Teaching dance and working with movement for children with disabilities is a true passion of hers. Sarah is currently finishing her senior year at Buffalo State College as a Dance/Philosophy major. During her time at Buffalo State, she participated in multiple Service Learning Projects with refugee youth at Lafayette High School, CAC, and Autism Services Inc.
Sarah attended a 200 hour teacher training in Africa, in the journey to become certified in Baptiste Yoga. While she was there she participated in multiple outreach programs in the slums of Nairobi, Kenya- to provide yoga and nourishment to the youth. This changed her entire perspective on life in a positive light! Sarah plans on traveling to Africa in January to teach yoga in Uganda. 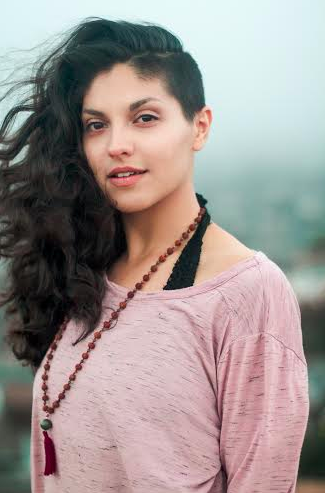 Sarah plans on teaching multiple classes and living her yoga in her own community. Also, she hopes to attend multiple yoga trainings and workshops. Yoga has brought her possibility, self advocacy, self-worth, mental clarity, health, friends, community and she hopes to share this passion with the world! Sheri has worked with children at Camp Good Days and Special Times, volunteered for SABAH (Skating Association for the Blind and Handicapped), was a devoted ski instructor, worked with Phoenix Adaptive Ski Program, and has taught over twenty-five years in Williamsville Central School District as a K-2 classroom teacher. Sheri has competed in running and rollerblading marathons, numerous half-marathons, triathlons and the Tough Mudder. Her husband and college-age sons are constantly keeping her active and challenged! 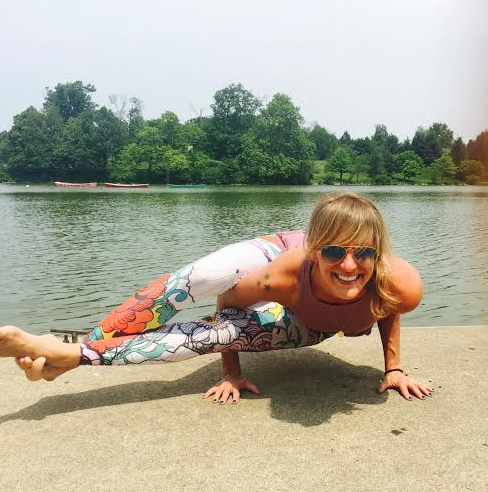 She now enjoys bringing her love of yoga to the young people of our Buffalo Community. Currently, Sheri is very involved with Yogis in Service (YIS) which brings yoga to those who would not otherwise have access. She is certified as a children's yoga instructor and continues to learn from little ones every day. 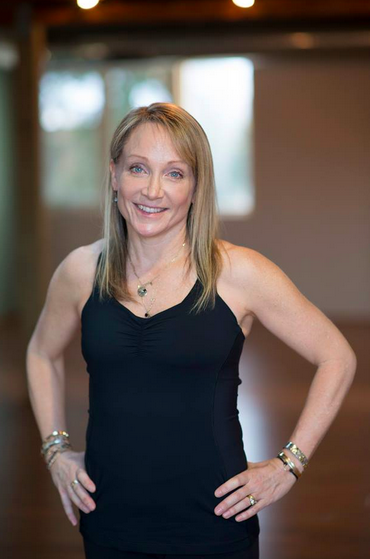 Sheri can't thank Power Yoga Buffalo enough for giving her the tools to learn, grow, and shine! And of course, meeting beautiful and strong yogis! She is thrilled to be a part of H.E.A.L BFLO! Buffalo is my birthplace, my home, and the origin to so many joys in my life! I couldn't resist an opportunity to be a part of H.E.A.L. ; an amazing event to give back to a city that has given me infinite happiness. I feel guilty to admit that it has taken me time to appreciate this city, but everything I love is right here. My family and friends, my fiancée, the schools where I had studied, my career as a middle school Spanish teacher, the amazing yoga studios, and the incredibly loving yoga community! I'm thankful every day that my best friend introduced me to yoga! I began to practice Pilates nearly seven years, and it wasn't long after that I discovered yoga. I've been practicing yoga for nearly four years. Yoga has had such a positive impact on my life that I wanted to spread its healing and love to those that need it the most! As a middle school Spanish teacher, I understand how important yoga and mindfulness is for adolescents and young children. I became certified as a Rainbow Kids yoga instructor in Toronto in February 2014. 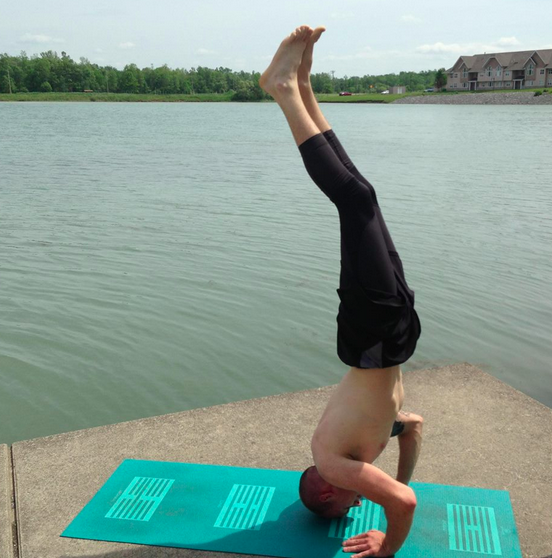 I have been teaching kids yoga at Power Yoga Buffalo since October 2014. Eagerly, I began to offer yoga club for students at my school so they can interact with their peers while moving, stretching, relaxing, and having fun! I love being able to utilize my creativity to develop exciting yoga journeys. I'm very excited to give back to the community and I look forward to our yoga journey! Pilates, the Andrei Droznin method, and the Michael Chekhov Technique. working at letting go of goals and expectations, and discovering peace. 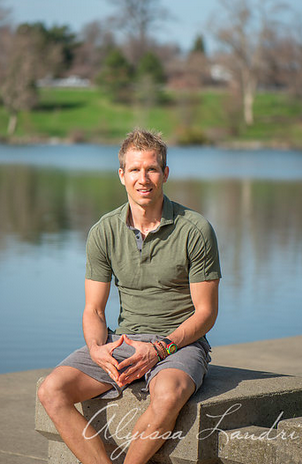 conscious community is growing and evolving in Western New York! growth. Yoga became a place and practice where I could connect my body,mind and spirit. This practice reminds me every day to slow down and pay attention. It recommits me to the importance of the journey rather than the destination. I teach to learn more and to share the connection between what you experience on your mat, to what is possible in your life off the mat. This practice will elevate you and there is nothing more fulfilling than helping someone else recognize this, recognize that they have the power to create whatever they want on the mat and off. THIS is what LIGHTS ME UP! Right from the first yoga practice there as an immediate sense of home, of calling. With an athletic background, yoga was a natural progression. Yet the experience seemed so valuable, so deep and tantalizing. Yoga may have started out as a form of fitness however today yoga is in essence life itself. Through this practice we awaken a truth inside of us and every human being should have the opportunity to experience this! Becoming certified to teach yoga is simply an opportunity for me to help people realize the beauty they behold, to show we can be the embodiment of peace in this world full of chaos. It is a dream come true to help deepen the practice of yoga for so many. Ultimately the hope is that people will come to view class as a refuge, a place where they feel the stress melt away. Yoga is as an essential part of my life, I wish is to encourage everyone to practice and open themselves to the possibility of change. There is always joy, support and non-judgmental attitudes within the yoga community. Ask any yogi and they will verify this is a valuable life changing experience. believes in putting theory into practice and practice into action. for yoga and learning through the body. When I first found photography my daughter had just been born and I could not wait to capture every little moment. I dragged my husband out to buy our first DLSR, a graduation from my point and shoot and Little did I know It would turn out to be something so much more than that. Two years, two more babies, and hundreds of pictures later I found myself sitting in front of some photos I had just taken of my three children. Smiles, tears, love, and milestones, I was so fortunate to have captured all of them and all the moments in-between that one might forget. Siblings John and Molly Hastings have been surrounded and playing music since before they can remember. They were born and raised in the rollinghills of western NY and are now bringing their music to dusty bars, yoga practices, and camp fires. Yogi's themselves, they are working on spreading the powerful vibe one song at a time.